If a picture is worth a thousand words – here’s a three thousand word post. Construction continues to chug along. You can see in the first picture blankets and tarps covering newly poured concrete on the road between the hospital and the Life Flight Eagle Hangar. The road will be reopened to staff and delivery trucks this week. 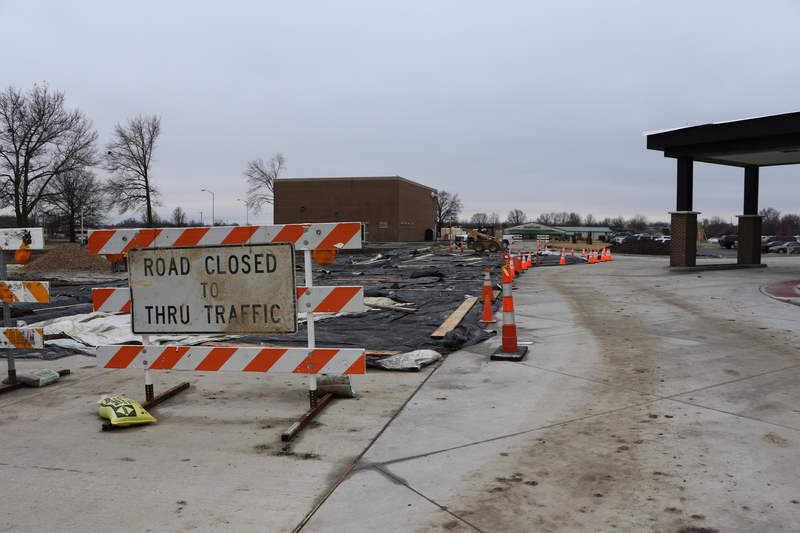 This road will become one of the primary patient entrances to the new addition. The second picture is a “bird’s-eye view” as it is looking down from the second floor of the addition. 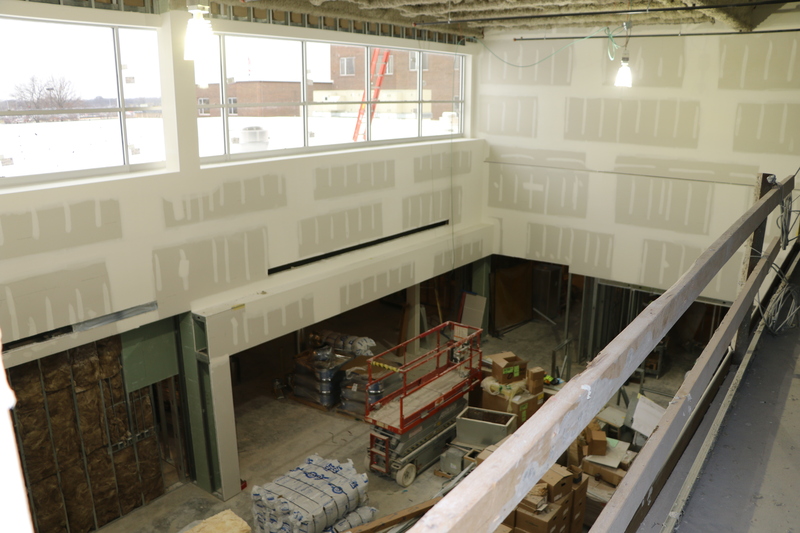 The second floor is unfinished space for future expansion but it helps to create the two-story lobby and open feel for the main outpatient entrance which would be down and to the left if you could turn the camera angle. 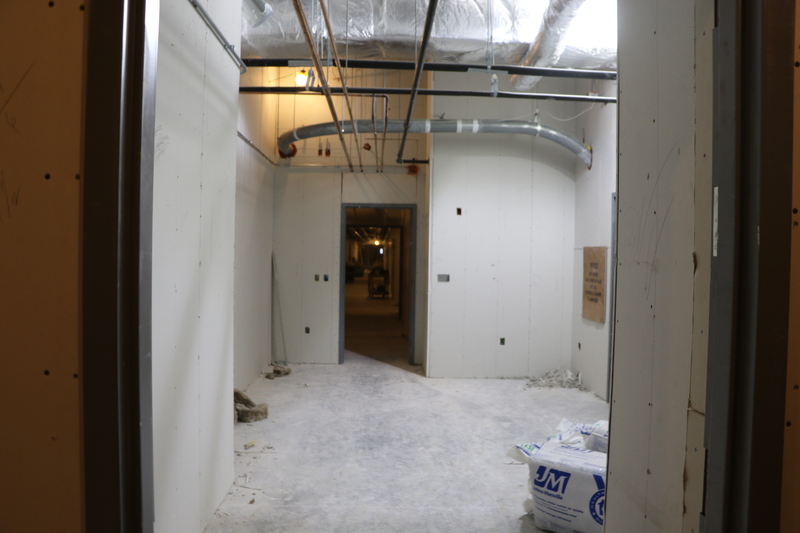 The opening you see under the windows across from where the picture was taken will be the entrance to the Outpatient Treatment Center and to the right is what will become the Bistro. The last picture is of a corridor. You can see progress with sheet rock installation and the framing for ceiling grid. The shot down the corridor helps to give a sense of how big the addition is, the hallway in the picture looks to go on and on and on…. You can also see some of the piping in the ceiling. There is over twelve and a half miles of pipe in the addition. I did a walk through last week. There is paint up in some areas and ceiling grid has been installed in other areas. This week HVAC units will be hooked up and permanent heat will be available. To this point forced air portable natural gas heaters have been used to keep the space warm. The addition is still on schedule to be occupied by GVMH towards the end of March, 2016.